SALE on Math Mammoth printed books! 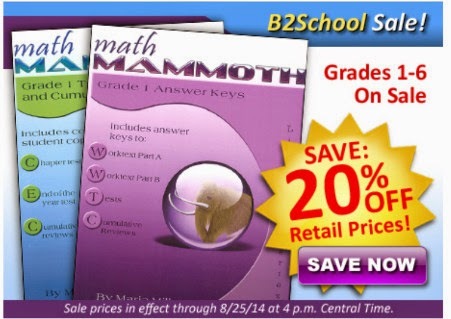 Rainbow Resource is running a 20% off sale on the printed versions of Math Mammoth books! This offer runs till August 25, 2014.